The All-New Kindle Oasis is bigger than the original, waterproof and beautiful to read. Amazon’s Kindle Oasis (2017 version) is the ultimate ereader. Two important features debut with this 2017 model: It's waterproof, and it supports audiobooks via Audible. Make no mistake: Reading on this device is a luxurious pleasure. With a starting price of $270, however, the Oasis floats beyond many budgets. For everyone else, we suggest picking up a Kindle Paperwhite, which can be had for half the cost. 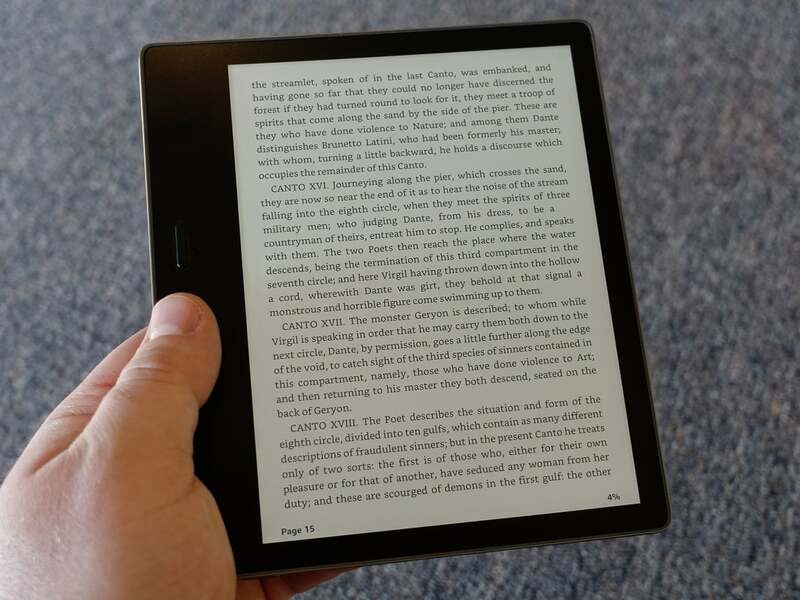 The original Kindle Oasis was built to be as svelte as possible without sacrificing readability, incorporating lightweight plastic, glare-free glass and a smaller internal battery. The battery’s bump was a perfect handle, and it also served as a docking point for a magnetic cover-external battery combo. Amazon’s making a big deal out of the fact that the Kindle Oasis is its first waterproof ereader. With its IPX8 rating, the 2017 Oasis can be submerged in two meters of fresh water for up to an hour at a time. Amazon offers more waterproofing information on its site. 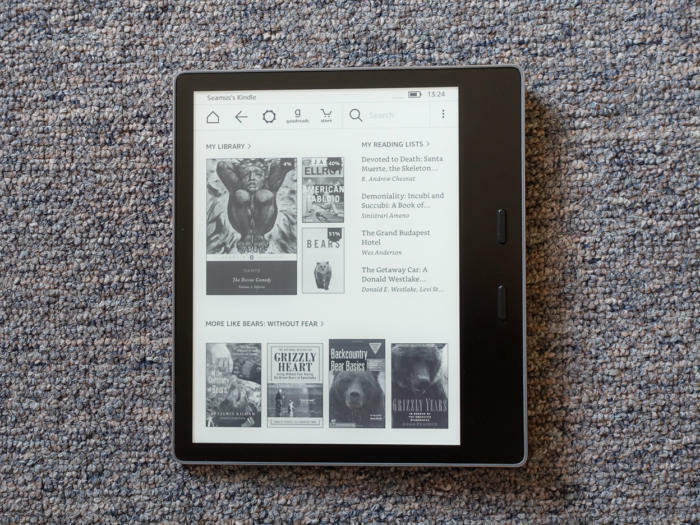 In truth, the 2017 Oasis finally gives Amazon a product comparable to what Waterfi’s aftermarket waterproofing treatment for the Kindle Paperwhite provides, and the sort of wet-environment performance Kobo’s Aura H20 Edition 2 and Aura One already offer. Testing the ereader in the pool, shower and hot tub over a number of days, I feel confident that it’ll survive most liquids you throw at it. 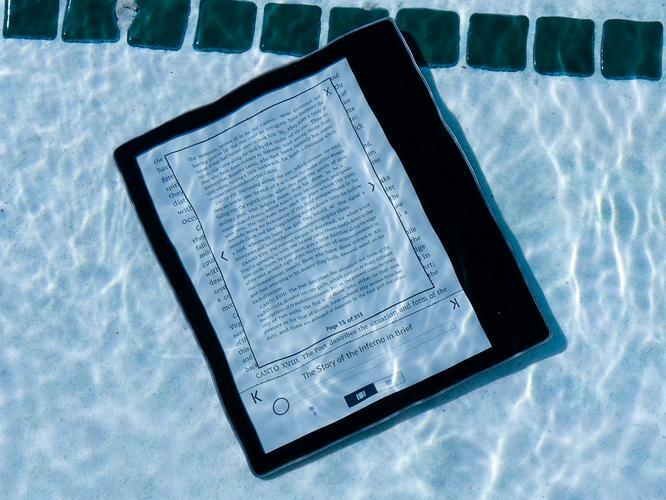 Amazon hasn't solved the full-submersion issues that other waterproof ereaders also face. Granted, it's unlikely you'll hold it fully underwater when you're actually trying to read, but it's important to understand the limitations of this feature. Get a few drops of water on the Oasis display and it’s business as usual. Submerge it fully, and the device will register the large amounts of liquid as touches, causing pages to turn and options to change willy-nilly. Now for the bad news: Amazon keeps you on a tight leash. It supports only Audible content, meaning you can't side-load audiobooks, podcasts or music from third-party sources. I attempted to do so with a number of different audio formats. No dice. The Kindle Oasis (2017) represents a long-awaited upgrade to Amazon's ereader product line. Waterproofing and Audible content support lift it above the competition. At the same time, Amazon keeps the experience familiar and comfortable. 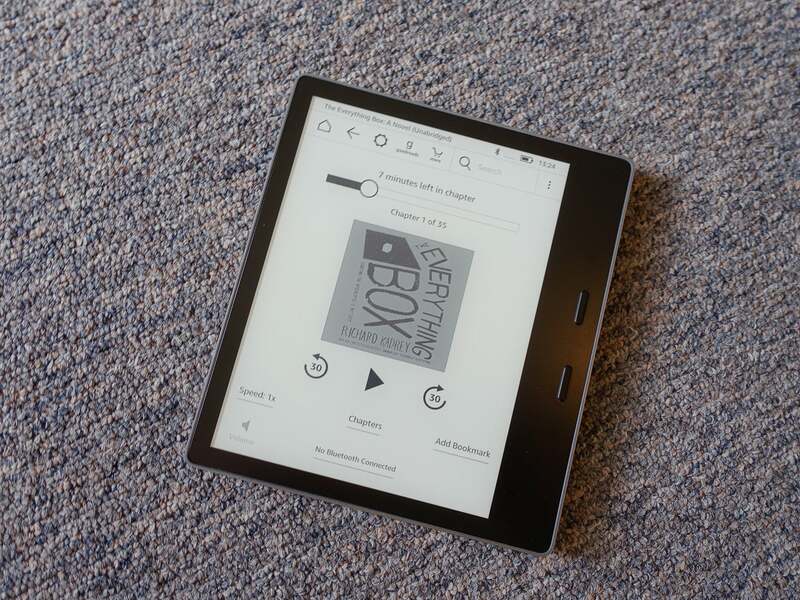 That's partly because it’s been a long time since Amazon gave its e-reader operating system anything resembling an overhaul, for better or worse. But the better part of that scenario is that anyone who’s picked up a Kindle in the past five years will find the 2017 Oasis easy to use. Front lighting, Wi-Fi, and Bluetooth controls are easy to find. The ability to tweak your reading experience with 14 different font sizes and 10 different fonts (including a bold typeface and OpenDyslexic), or alter a text’s line spacing and margins, are all big pluses for readers.